St. Francis Dam Disaster site, 1928. U.S. Rep. Katie Hill, D-Agua Dulce, introduced her first piece of legislation into the 116th Congress on Wednesday – H.R. 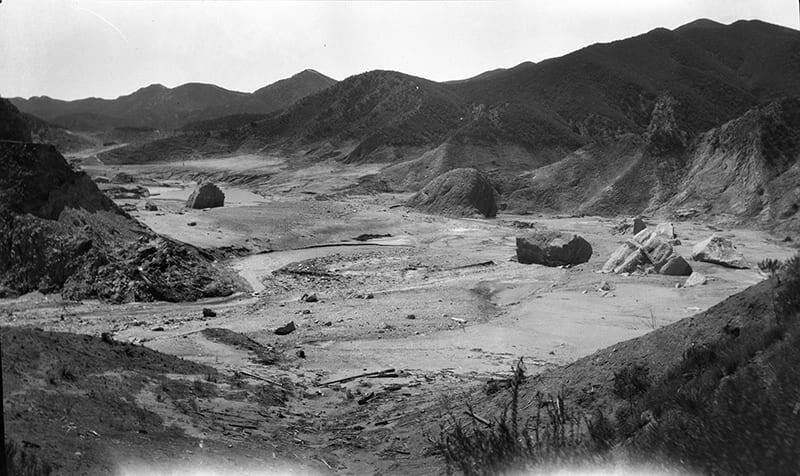 1015 – a bill to commemorate the St. Francis Dam Disaster by establishing a National Memorial at the dam site in San Francisquito Canyon. U.S. Rep. Julia Brownley, D-Thousand Oaks, is an original co-sponsor of the legislation. Senators Kamala Harris (CA) and Dianne Feinstein have introduced the companion legislation in the Senate. “I’m proud to partner with Representative Hill on this bill to establish a national memorial honoring the Californians whose lives were lost in the 1928 St. Francis Dam disaster,” said Senator Harris. “This monument will serve as a reminder for generations to come of the profound consequences of a failure of infrastructure,” said Senator Harris. Dianne Erskine-Hellrigel, president of the Community Hiking Club, one of the nonprofit proponents of the legislation, couldn’t have been more thrilled. The St. Francis Dam Disaster was the second-deadliest in California and was the nation’s worst civil engineering failure of the 20th Century. An estimated 411 people perished in the Santa Clara River floodplain, and the failure caused millions of dollars in damage to the communities of Santa Clarita Valley, Rancho Camulos, Piru, Fillmore, Bardsdale, Santa Paula, Saticoy and Montalvo. William Mulholland, head of the Los Angeles Bureau of Water Works and Water Supply, now known as the LADWP, oversaw construction of the dam. He resigned as a result of its failure. This is a great bill that Congresswoman Katie Hill will try an get signed by the President.